Instagram has launched a new shopping function called Checkout on Instagram. The additional functionality, only currently available in the US with 20 big brands, means you can purchase directly through the app without being boosted off to another site. “When you find a product you love, you can now buy it without leaving the app,” the company said. 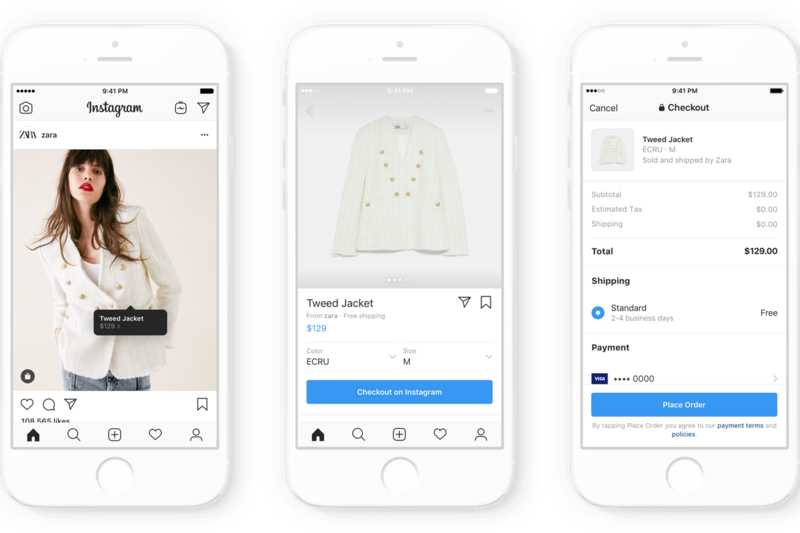 The process is as simple as clicking on the “Checkout on Instagram” button, which will request a user’s name, email, billing information and shipping address the first time the feature is used. According to Instagram, once your information is entered, it will be saved for next time so purchasing items such as makeup, clothes, or sneakers will be even faster. Currently, the feature will only allow one purchase at a time. However, an Instagram spokesperson said the company is “actively exploring ways” of improving the experience, including the release of a multi-item shopping cart. The tech company also said it will be extending the checkout feature to include other brands soon. Checkout is currently in a closed beta stage, and will only be available to users in the US using the mobile app. The post Instagram launches Checkout on Instagram appeared first on Payments Cards & Mobile.